The European Commission has proposed new limits to CO2 emissions from heavy-duty vehicles. NGVA Europe says the proposed targets represent a real challenge for the industry: average CO2 emissions from new lorries and tractors foresee an intermediate step already in 2025 with a reduction of 15% compared to 2019. The proposal further seeks to make the reduction 30% by 2030. 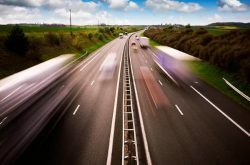 The proposal aims at monitoring and reporting CO2 emissions and fuel consumption of heavy-duty vehicles (HDVs) registered for the first time in the EU in 2019, subject to the upcoming Commission regulation on certification of CO2 emissions and fuel consumption for new HDVs proposed by the Commission. Once the certification regulation enters into force, in 2019, HDV manufacturers would be required to carry out a simulation of CO2 emissions and fuel consumption using a software tool developed by the Commission, the ‘Vehicle Energy Consumption calculation Tool’ (VECTO). NGVA Europe says that considering the time period between the implementation of VECTO for CO2 emissions monitoring and the first target date of 2025, cost-effective and available solutions are required. In this respect Natural Gas technologies (CNG, LNG), with a high level of maturity and safety, are ready to play a significant role: tailpipe CO2 emissions are reduced from 12% up to 20% compared to Diesel according to different engine technologies (www.ngvemissionsstudy.eu). However, NGVA Europe regrets to see that the European Commission did not take the opportunity to embrace a more comprehensive approach with regard to carbon neutrality, directly considering the role of renewable gas solutions. “BioCNG and bioLNG are ready today to support the take off and acceleration of the decarbonization process for both HDVs and LDVs, simultaneously providing an immediate benefit of local pollutants reduction,” said Andrea Gerini, Secretary General of NGVA Europe. The Heavy Duty transportation sector is expected to play an increasing role in a global economy where logistics will ask for a growing number of freight trade vehicles across Europe. The complexity of this system will require an integrated approach, where multiple solutions will be needed: from urban mobility up to long haulage freight transport natural and renewable gas represent a cost-effective solution towards a clean and sustainable transport system. NGVA Europe says it is ready to engage in a constructive dialogue with the legislator to complement the legislation with a fair evaluation of the decarbonisation effects among the different solutions, translating the need to maintain technology neutrality across the different markets. NGVA Europe is an Affiliated Association of NGV Global.